Win tough and play tougher. 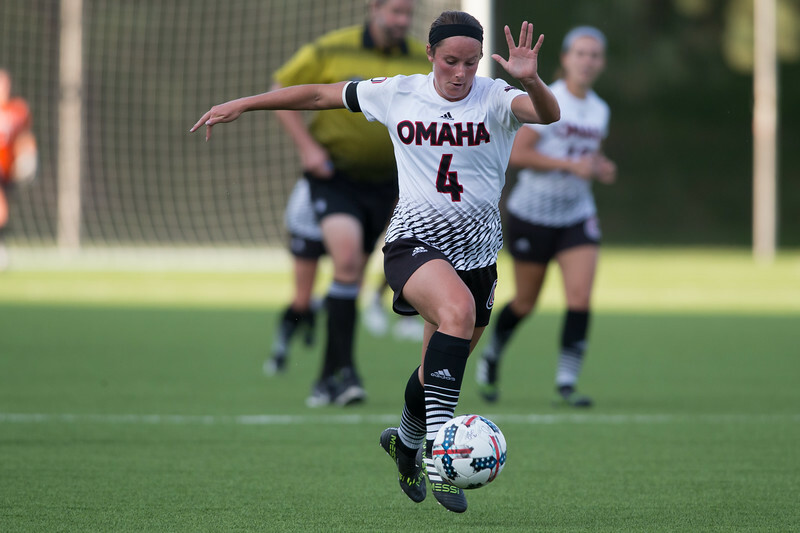 The Omaha Women’s Soccer team certainly displayed that in their Thursday night away game against Fort Wayne. The match between the two Summit League foes wasn’t necessarily the prettiest and it wasn’t Omaha’s most dominant win, but it was what it needed to be. There was only one goal in the game, which came in the 14th minute off the foot of Lydia Holtmann. Both team’s defenses played solid soccer for the rest of the game. The game was not devoid of goal-scoring chances, however. Two late Fort Wayne shots that could have proven more were hit off the post. For both teams, the game was uncomfortably close. In the end, the Mavericks ended the night 1-0-0 in Summit League play, because of a narrow 1-0 win. “To make the tough trip to Fort Wayne, and grind out a result at a tough place to play is fantastic,” Head Coach Tim Walters said after the game. Winning away from home has been key this season for the Mavericks. Omaha has won two games on the road this season. They’ve had zero the prior two seasons. It’s that ability to play tough that seems to be doing the trick this year. When the Mavericks have won this season, both at home and on the road, it’s been in matches that were fiercely contested until the very end. The fact that these games have ended up in the Mavericks’ favor has certainly been no fluke. With no clear favorites in the Summit League this year, that extra factor could potentially prove the difference in winning the title. To Coach Walters, the win against Fort Wayne certainly gives the team something to build on for the rest of conference play. As it is, the Omaha Mavericks sit at the top of the league. It remains to be seen if they can stay there. Omaha remains on the road for their next two games, as they travel to South Dakota State on Oct. 6 and then stay in the Dakotas to take on North Dakota State on Oct. 8.